I enjoyed working with Curator Emalee Beddoes-Davis and bringing her shiny vision to life. I designed the original identity and exhibition interpretation - logo development, typography, colour-ways (inspired by themes within the artwork itself in addition to the suffrage colours) interpretation panels, object labels, and ~ the holographic ~ a nod to Fiona Rae’s Dark Star, an exhibition highlight from Birmingham’s collection, and one of my all-time favourite artists. I’ve included my moodboard so you can see how my work expanded, with ace photos by Jack Spicer Adams. The artworks are part of the Arts Council Collection & Birmingham Museum’s collection. 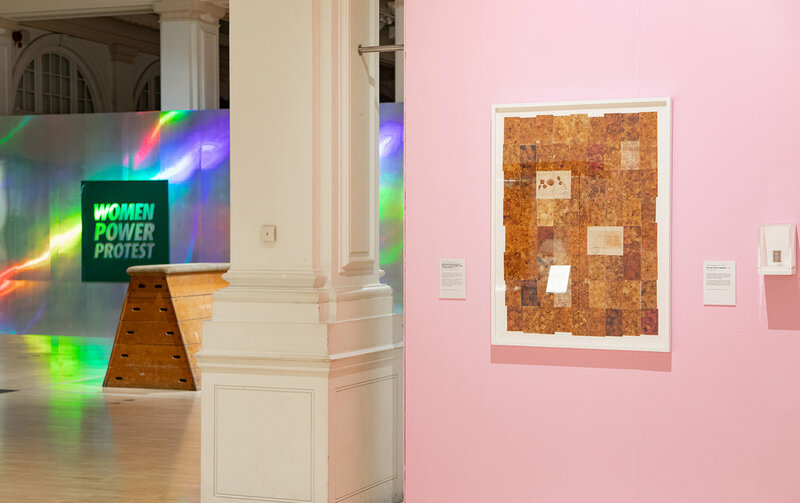 Women Power Protest is an exhibition conceived by Birmingham Museums Trust as part of the Arts Council Collection National Partners Programme 2016-19.